Fast convert DVD to 3GPP , 3GPP2 , M4A , MP3 for playback on mobile phone. Convert DVD/video to iPhone 4G MPEG-4 (.mp4), H.264 (.mp4), MOV video, etc. Innovative computer tool acquisitions from the best in download collections! Use the featured apps groups, find out the hottest renews of the amazing softwares, and get at once! Do not miss opportunity to acquire the popular software solutions: utilise SoftEmpire to recieve software programs for free. Meet the library of freeware and software application demo versions. take among Windows applications, download manipulators, softwares for relax, and all other types of applications for your laptop or cell devices! 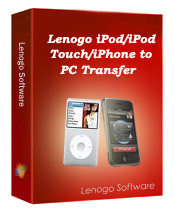 You can download: Alldj Video Converter Platinum, Cucusoft iTunes Transfer Pro, My Ringading, Lenogo iPod/iPod Touch/iPhone to PC Transfer I, Aimersoft Audio Converter Pack, Tag Machine, Tube Grabber, PowerShow Professional (10 user license), Speaking Notepad, SI Show.kit, Easy MP3 Joiner, 1st Multiformat Converter and CD Ripper, Aimersoft BlackBerry Converter Suite, HYPr StoryMaker, Aimersoft DVD to Mobile Devices Converter.